Is Kate Wearing Princess Diana’s Earrings? In the past few weeks we’ve seen Kate wearing a pair of sapphire and diamond earrings that we have been unable to identify. The earrings are the perfect compliment to her matching diamond and sapphire engagement ring which everyone already knows was once Diana’s. The article states that William gave his mother’s earrings to Kate. 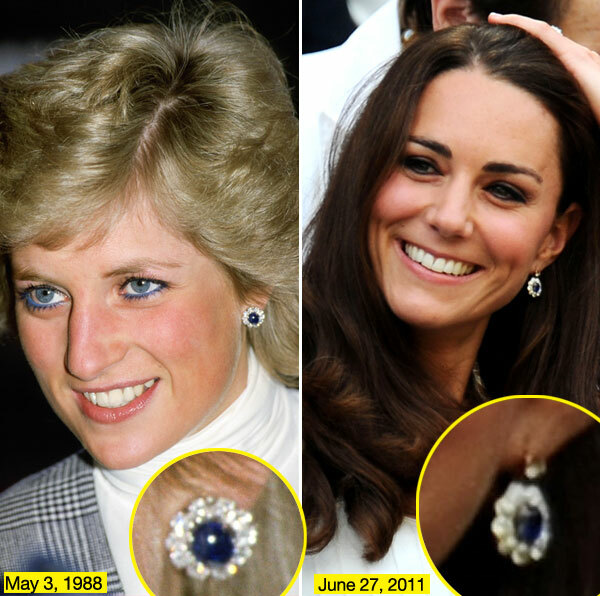 The earrings that Diana wore were heavy studs but they were remodelled into drop earrings for Kate. We saw Kate wear them for the first time when she and Wills watched Andy Murray from the Royal Box at Wimbledon last month. 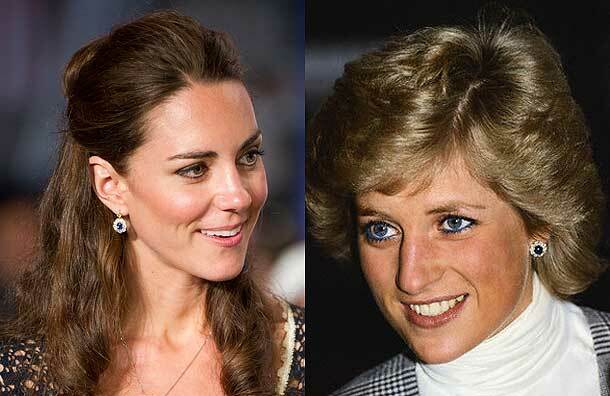 The earrings were among ­Diana’s most treasured jewels. She wore them at dozens of events in the ­1980s and 1990s. Previous Post William surprises Kate with a romantic dinner and an evening alone. I've read on other Catherine Blogs that these are indeed Diana's earrings.